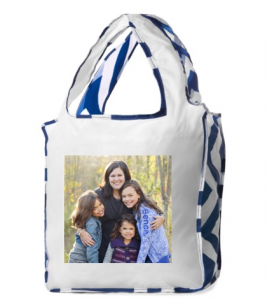 Today only, 10/7, there is a Shutterfly Coupon Code available for reusable bags! You can use the code COMET to get the reusable bag for $7.50. The bags are normally $16.99, so you are saving a ton. You can personalize it with one or multiple photos and pick from 10 different colors and designs. The bags are perfect for groceries, toting around things for the kids, and more! I love how small they fold up. The deal is available today, 10/7. Shipping is $4.99.